Natalie Gaynor joined the Houston Grand Opera and Houston Ballet Orchestras in March 2017 as Principal Second Violin. 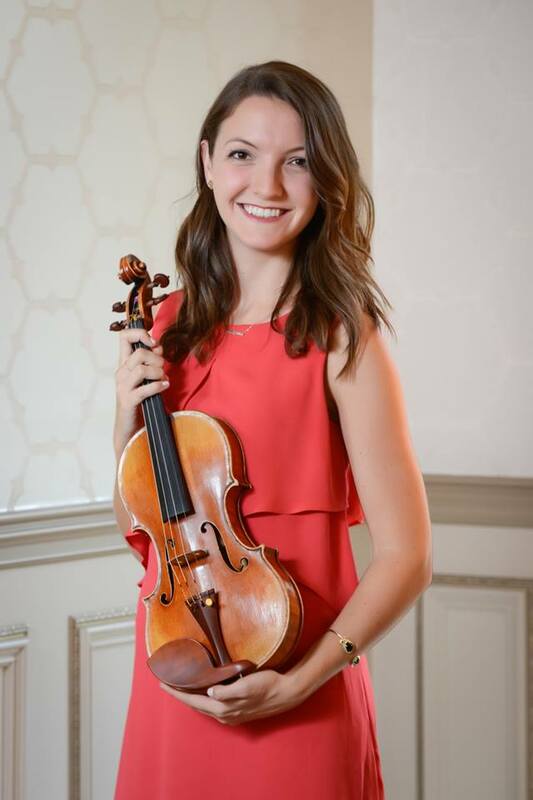 Natalie has performed with the San Diego Symphony Orchestra and New World Symphony, and has served as concertmaster for Rice University’s Shepherd School Opera and Chamber Orchestras. She has participated multiple summers in prestigious music festivals throughout the United States, earning fellowships to the Aspen Music Festival, Music Academy of the West, and the Sarasota Music Festival. This summer she will travel to Japan to participate in the Pacific Music Festival. Natalie regularly plays for special events and services throughout the Houston area, performing classical works, pop music transcriptions, and improvising with DJ. She has maintained a private studio during her time in Houston, teaching students of all ages. Born and raised in Arlington Heights, Illinois, Natalie began her violin studies at age six, and piano lessons a year later. In high school she studied with Gerardo Ribeiro of Northwestern University and was highly involved in the Midwest Young Artists Youth Orchestra and Chamber Music Program. She began her undergraduate degree at the Cleveland Institute of Music and transferred to Rice University to follow her teacher, renowned violin pedagogue Paul Kantor. Natalie earned Bachelor’s and Master’s degrees from Rice University’s Shepherd School of Music, and also completed a Minor in Business from the Jones Graduate School of Business. Other prominent mentors include Kathleen Winkler of Rice University, and Eric Halen, Associate Concertmaster of Houston Symphony. In masterclass settings she has performed for Glenn Dicterow, Pamela Frank, David Chan, Alex Kerr, and David Kim, among others. In addition to music, Natalie enjoys practicing yoga, taking portrait and travel photography, going to new art exhibits, finding new places to travel, and exploring national parks. She is excited to be working in Houston and hopes to soon adopt a dog from the local animal shelter.